We should probably start with a long time blogger in a city many in the west have never even heard of. 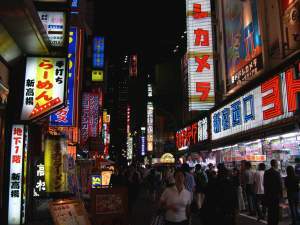 The city is Saitama, a metropolis of well over a million people, and the blogg is Reflections of Refinement, online since 2004. Saitama is actually a part of greater Tokyo, north of the city. This missionary in Japan is teaching English and sharing her reflections and stories along with pictures of life in Japan. Here's another Japan Christian missionary in the Tokyo area. It's one of the newer blogs out there, again with lots of pictures and stories to share. Do you like music and stories? Be sure to check out Keith and Celia's blog. For an overview of who they are, check this page. There are many more blogs we could mention, but here are just three more you can check out in Japan. First, Holy Fire Japan, with lots of posts about the culture of Japan. Next, The Penner Place, a long time favourite of visitors to this site. Last but not least, be sure to visit The De La Courier. More reflections on culture and ministry in Japan. A Japan Christian missionary faces many challenges, including cost of living, language and complexities of society and culture. Please pray!